The Dear Meadow Rustic Bedding has a blanket cover and pillow shams that are made from a unique wool blend blanket fabric. 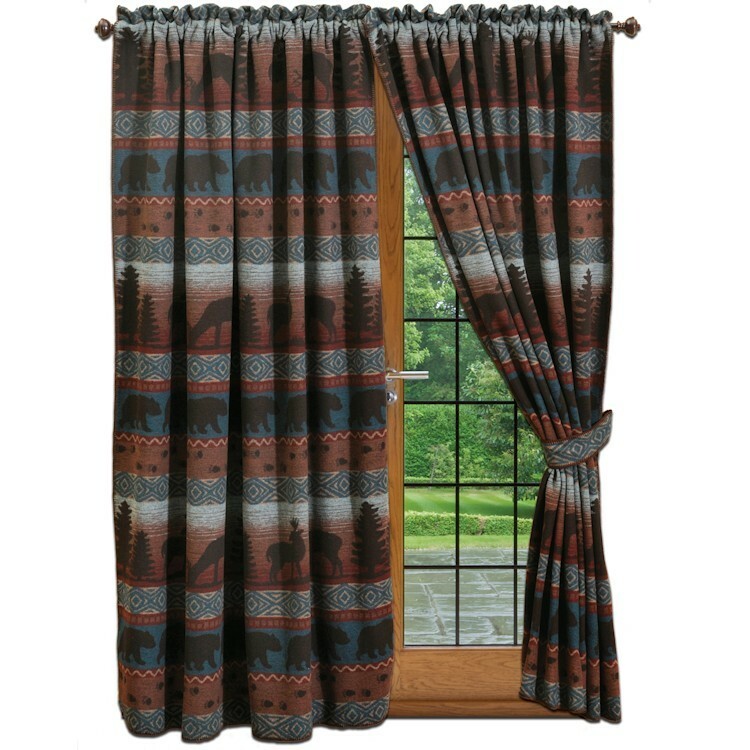 Rows of bear and deer silhouettes are alternated with rows of bear tracks and a pleasing geometric pattern. 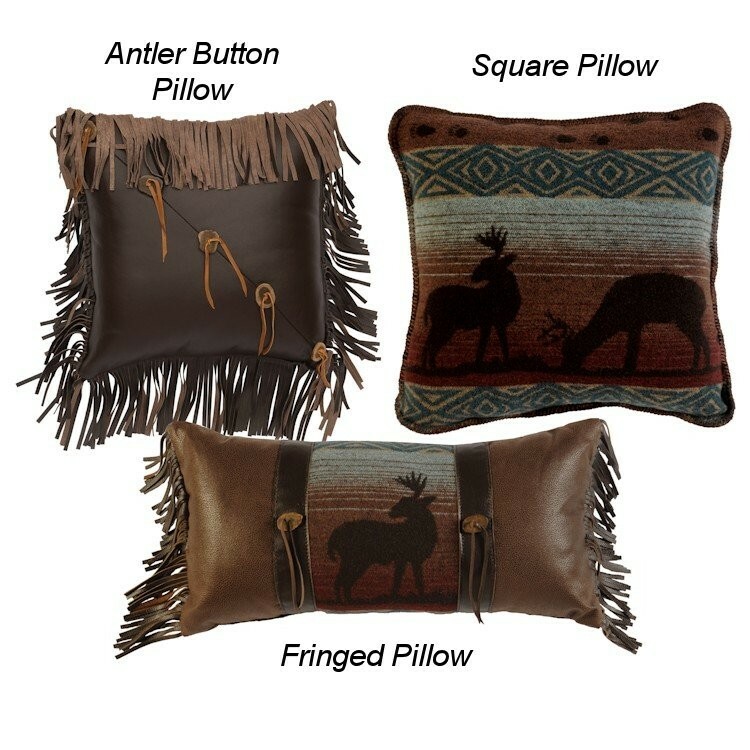 The deluxe set includes tailored faux leather bedskirt and three euro shams (two deer meadow and one faux leather) to give your cabin bedding a true rustic appeal. The Dear Meadow Rustic Bedding has a blanket cover and pillow shams that are made from a unique wool blend blanket fabric. Rows of bear and deer silhouettes are alternated with rows of bear tracks and a pleasing geometric pattern. 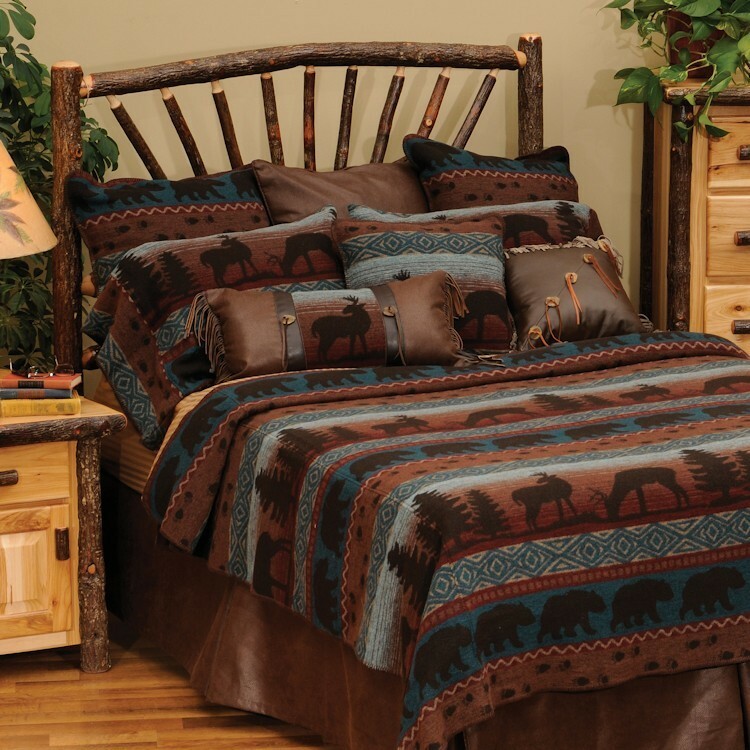 The deluxe set includes tailored faux leather bedskirt and three euro shams (two deer meadow and one faux leather) to give your cabin bedding a true rustic appeal. A Sunburst Hickory Bed will also make a wonderful addition to your lodge style bedroom.